Organizations today have a wealth of security tools available to them but many struggle to take full advantage of the technology they have. Too often, this results in a damaging breach that could have been avoided if their solutions had been configured and updated properly or if detections had been noticed and acted on. How well your organization is doing at fully implementing its security solutions, particularly endpoint protection technology, is a reflection of your cybersecurity maturity. This white paper, “CrowdStrike Falcon Complete: How to Achieve Instant Cybersecurity Maturity for Organizations of all Sizes,” explores the challenges organizations face in getting the most out of a security solution. 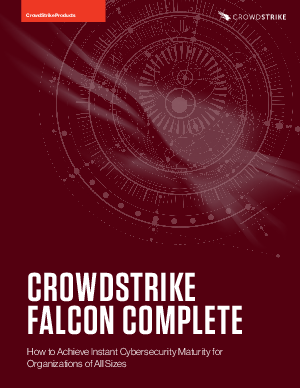 It also offers insights on how CrowdStrike Falcon Complete can raise you to the highest level of endpoint protection with speed and efficiency, regardless of your size and IT resources.